UAE's Etihad Airways is operating additional flights between Abu Dhabi and its destinations in Saudi Arabia to facilitate the movement of thousands of pilgrims for Hajj. Until August 28, Etihad will operate special charters to carry pilgrims on its additional flights to Jeddah and Madinah Airport. All flights will operate alongside regular scheduled services. The top inbound destinations for the Hajj Etihad flights are the UK, US, Australia, Pakistan, Indonesia, Korea, and Nigeria. Hareb Mubarak Al Muhairi, Etihad Airways’ senior vice president, said: “The Hajj pilgrimage is a very important experience for Muslims around the world and Etihad is proud to help its customers make this significant journey." “This year we see a 17 per cent increase in the number of pilgrims travelling with Etihad compared the same period last year." 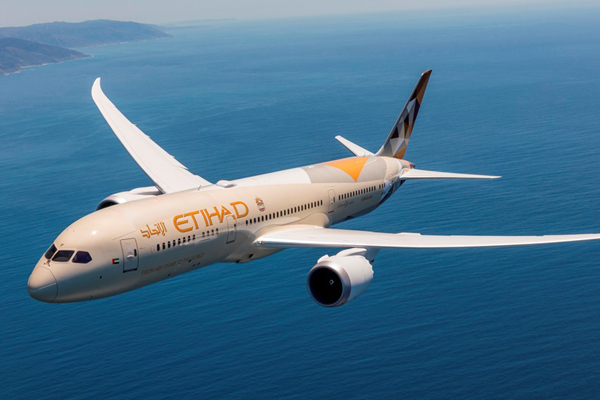 “To meet this increasing demand, Etihad Airways is adding 16 flights alongside scheduled services to Jeddah and Madinah." “We are committed to providing a memorable Hajj travel experience for our customers and to helping them complete their journey with ease and peace of mind," he said. A dedicated group of airport staff will be available to facilitate a seamless ground experience for Hajj travellers. In addition, dedicated check-in counters have been set up at Abu Dhabi international airport.